Well performing sectors in Kuwait include oil and oil-refining industries, construction and the financial and service sectors. Although Kuwait is a small country, expats can enjoy a wide range of recreational activities. Eating out is a national past-time and there are plenty of local, Arabic and international restaurants to choose from. There are wide ranges of beaches available both public and members-only to choose from. 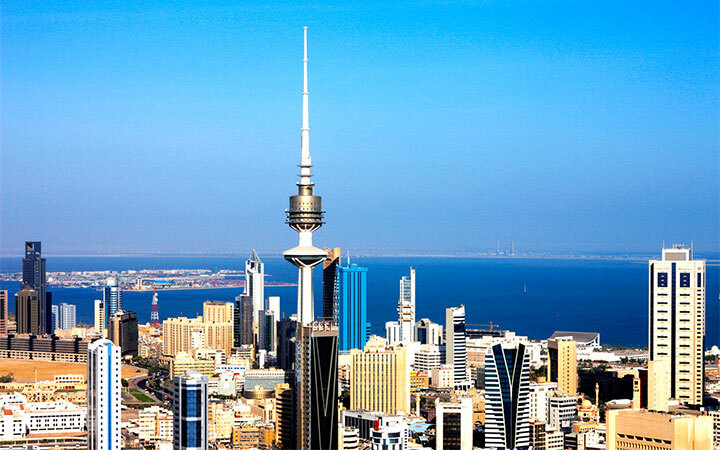 Kuwait city offers plenty of weekend activities also, including a visit to the Kuwait Towers, to Magic Planet and House of Mirrors with the children. Cinema is also a common weekend program amongst local families. There is also wide variety of expat leagues and clubs for women to join, including the BLS and AWL. These organizations have gatherings and are deeply involved with schools and charitable programs. Expat professionals moving to Kuwait can expect that their working contract to include benefits such as housing allowance, medical aid and annual flights back to their home countries. Due to housing boom over the past ten years, expats can choose from a wide range variety of housing. For expat families arriving with children there are plenty of school to choose from for all kinds of nationalities and with different quality education. Kuwait provides the top quality higher education for foreign citizens. Kuwait has a colourful history which is still noticeable upon walking around in Kuwait city. Although Kuwait is an Islamic state, expats will find that Kuwait culture is strongly influenced by Western traditions. Kuwait is a constitutional emirate with a parliamentary system enforcing Islamic law.